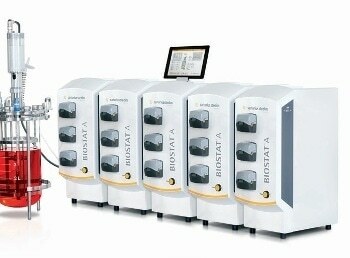 BIOSTAT® A is an entry-level bioreactor | fermenter designed for easy control of cell growth and fermentation. It is therefore ideal for educational purposes. The control tower of the BIOSTAT® A combines all features and functions for measurement and control: Easy Load pumps, aeration module and conveniently located connections for utilities and sensors. Featuring a compact footprint, the BIOSTAT® A saves valuable space in your laboratory.